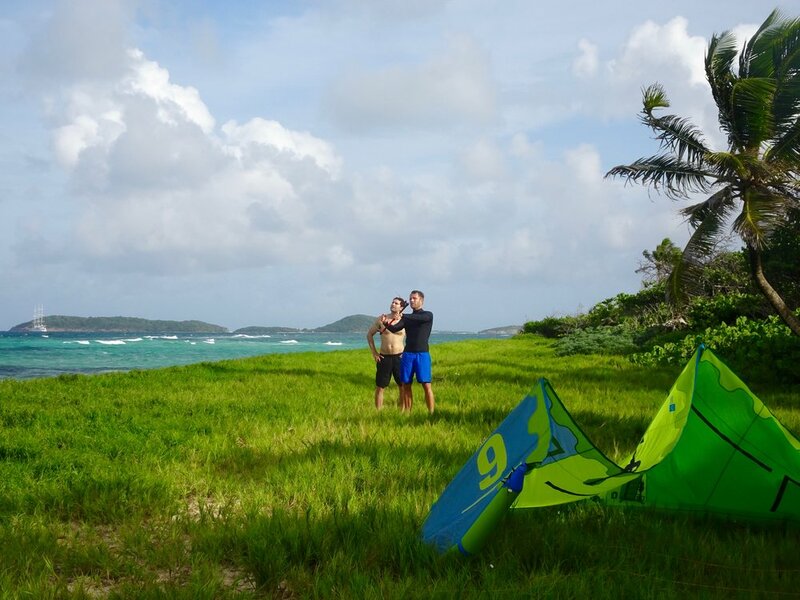 The Grenadines offer the some of the best kite conditions in the Caribbean for beginner to advanced riders. We're a group of kiters from California who visited Salt Whistle Bay in 2016 and were blown away at the nearly perfect conditions for kiting and unspoiled natural beauty. In fact, we were so impressed we decided to transform it into a destination for kiters and active travelers. 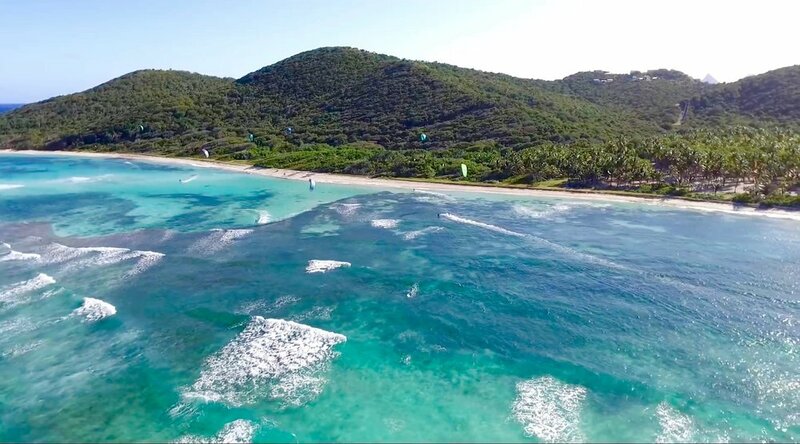 Reliable trade winds that blow 15-24 knots from November to July, turquoise warm water, multiple islands to choose from, downwinders, uncrowded beaches and a large variety of kite conditions all accessible right from your base on Salt Whistle Bay. Our home spot at Salt Whistle Bay and we think the best in the Grenadines. Launch your kite from the grassy area on the windward side and ride the shallow, pristine and mostly flat warm water. The small waves or kickers are super fun to ride or use as a ramp for higher jumps. This is one of the larger spots in the Grenadines and the most beautiful. The Tobago Cays are known as the “Jewel in the Crown” of the Grenadines. They are five small islands surrounded by the breathtaking Horseshoe Reef. Abundant with beautiful coral formations, tropical fish, and sea turtles, it offers incredible kiting in crystal clear blue-green waters surrounded by white sandy beaches. It's a protected marine park and well known in the sailing world as one of the Caribbean’s most beautiful anchorages. Also a great point to start a lazy downwinder to Mayreau or Union. Frigate Island in the south of Union Island near Ashton and is only accessible by kite or boat. The remains of a partially built marina have created super flat conditions idea for freestyle as well as beginners and lessons. Launch your kite on the very small beach, wind is offshore so being able to stay upwind is a helpful. Happy Kite offers trips and lessons to Frigate from Mayreau or Clifton. 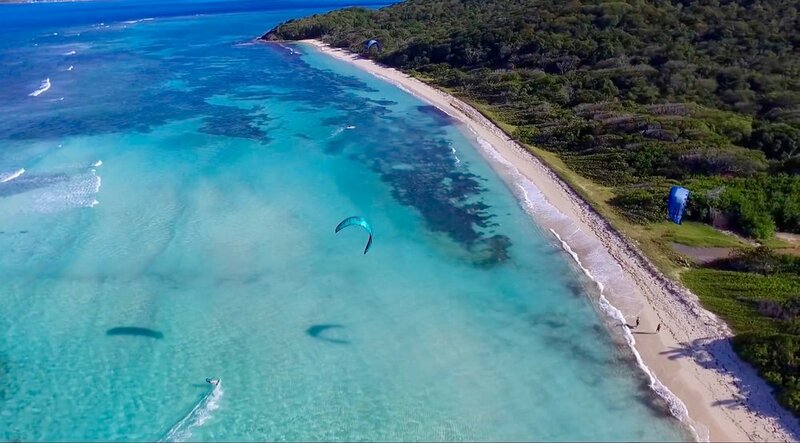 Clifton on Union Island has a great, flat water spot at the JT Pro Center kite school. You'll find excellent conditions with flat, shallow water inside the reef, perfect for freestyle tricks as well as taking lessons. And of course, Happy Island, an island bar in the middle of Clifton harbor built by one man out of conch shells over a number of years. The beach is near the center of town with a few restaurants and bars. 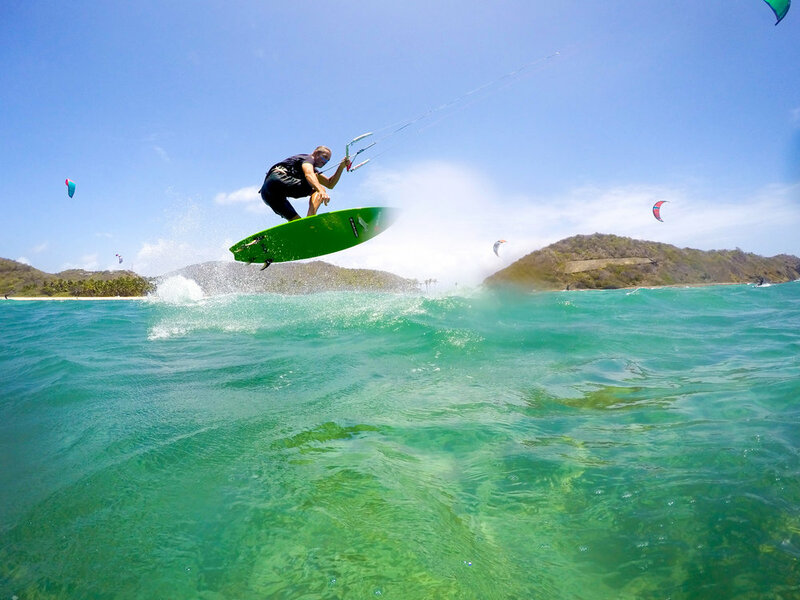 Our friends at Happy Kite offer lessons on Mayreau at a separate spot and Union Island (Frigate) for all levels – from beginners who have never touched a kite to advanced riders wanting to perfect their riding. They offer both private lessons and semi-private lessons (two per instructor). Happy Kite also arranges tours and downwinders to the many kite spots, pristine beaches and beautiful islands to explore. 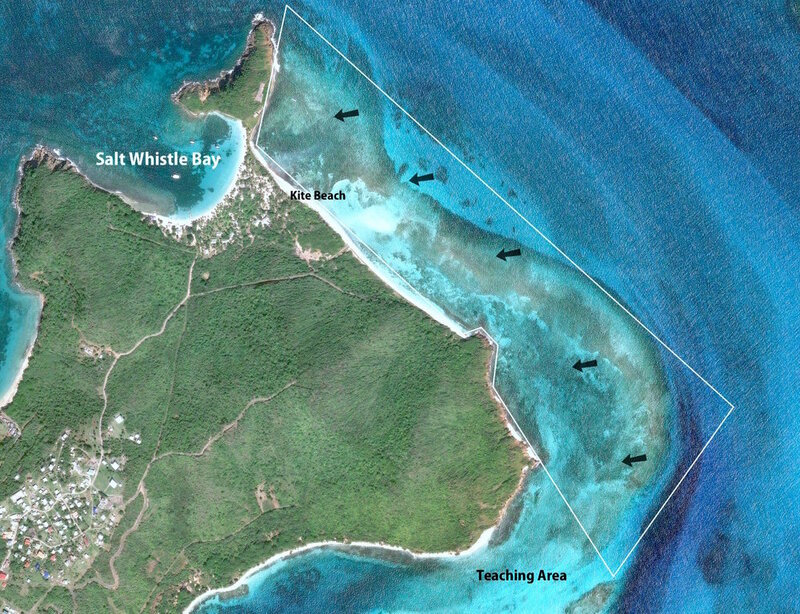 The four main kiting shown above; our spot on Mayreau, Tobago Cays, Frigate, and Clifton.